As Paris Fashion Week begins to unwind, the second to last day consisted of stunning looks from Chanel, Valentino, Paul & Joe and Alexander McQueen. 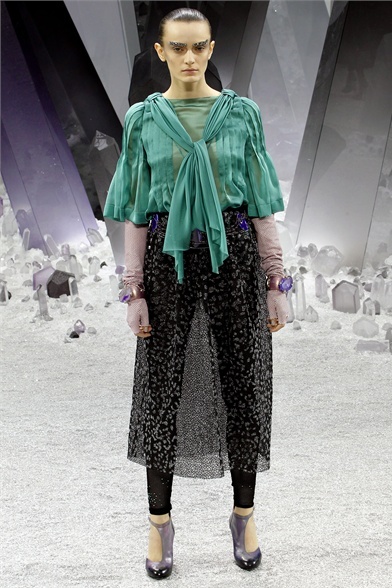 Ice Queen models donning slicked-back hair and thick, bejeweled eyebrows marched down the runway at the Chanel show. 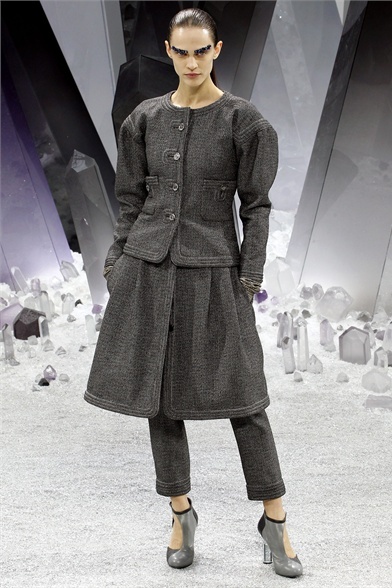 The collection featured classic tweed Chanel jackets and trousers in addition to combinations of sheer chiffon skirts and blouses. 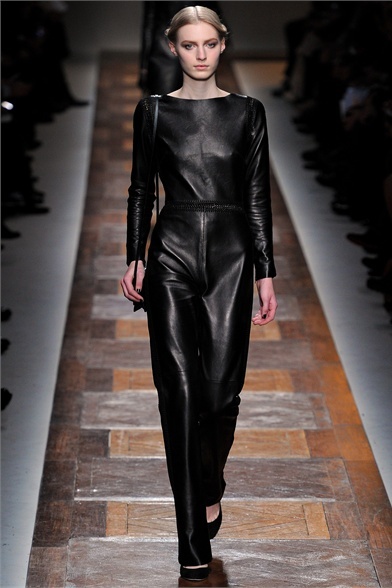 Black-on-black on black was the theme of Valentino’s garments, which included black leather body suits, raincoats and gowns. 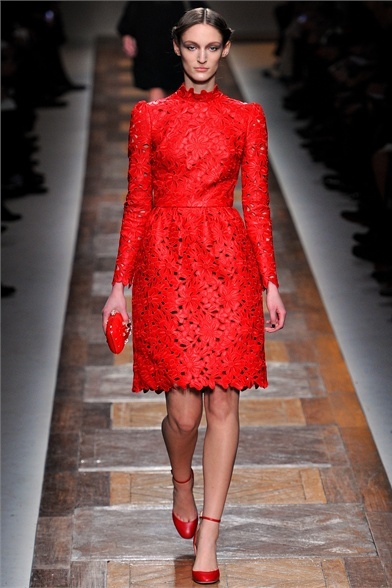 A spicy splash of red hit the runway along with mosaic prints, adding colorful texture to the line. Paul & Joe welcomed spring and summer colors in the fall-winter pieces, embracing canary yellows, baby blues, tangerines and pastel pinks. Smart and sultry, each look radiated class and sass with thick-rimmed glasses and high-heeled worker boots. Artful and sophisticatedly creative, Alexander McQueen sent a display of seductive dresses down the catwalk. Models gracefully strode in layers of tulle, feathers and fur that came in colors of fuchsia, crème and blush. Hello! Lol, I am going to France this Spring and I kind of don’t know exaclty what the fashion is like there. I hear this like it’s really classy, elegant, and chic but I would like to know some of the trends that are thre now or going to be in the Spring. Thanks for your help becuase I don’t want to go over there wearing stereotypical clothes like berets and I love Paris shirts and everyone whispering “What is she wearing?” or laughing at me. Lol.